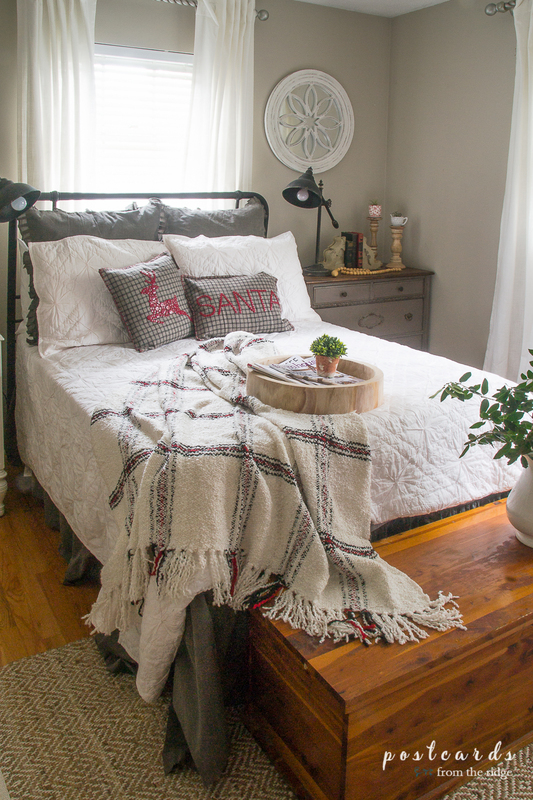 See the reveal of our guest bedroom makeover as part of the One Room Challenge. Hello, friends! Can you believe that Thanksgiving is only one week away? Where has this year gone? It's been a busy and productive one for us and today I'm revealing the makeover of our most recent project. 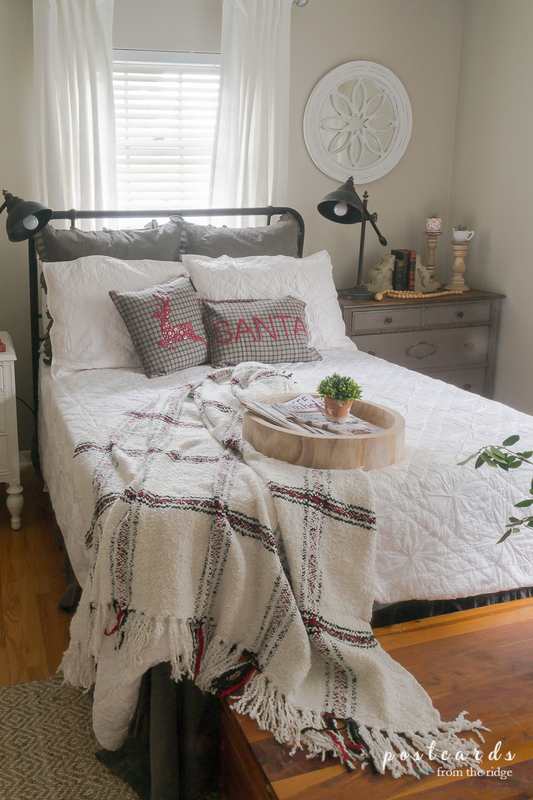 Our guest bedroom makeover is just in time to give you ideas for hosting guests for the holidays. And as a reminder, here's how it looked before I started the makeover. 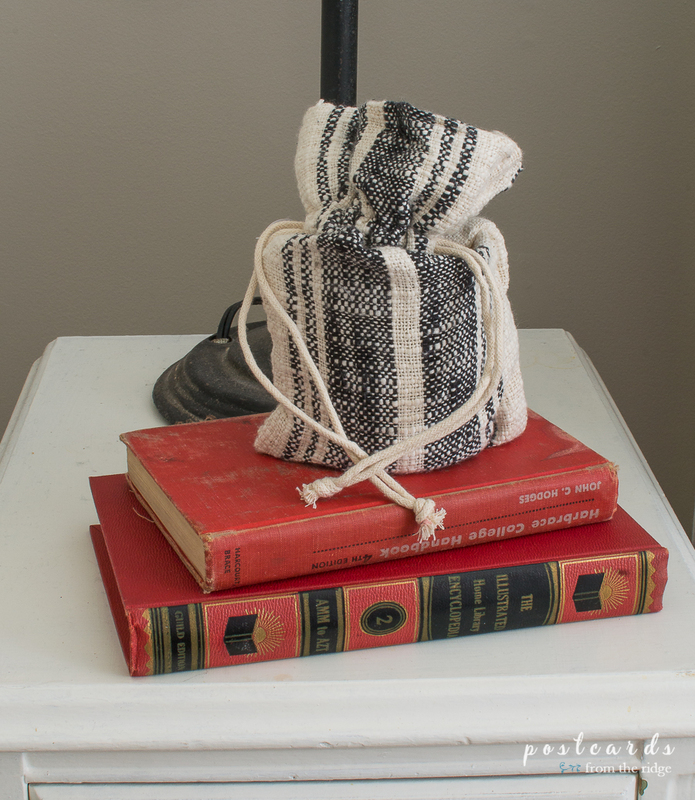 It was neglected and sad and I wanted to give it a fresh modern farmhouse style makeover. 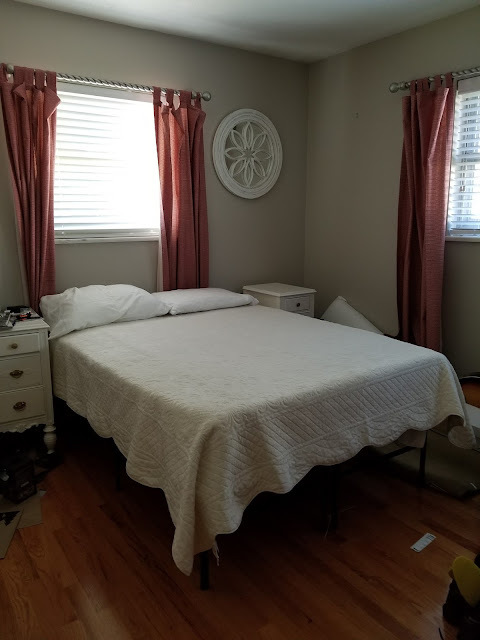 It had good bones with the wood floor and neutral wall color, and I kept the white wood blinds and round mirror, but pretty much everything else in the room has changed. 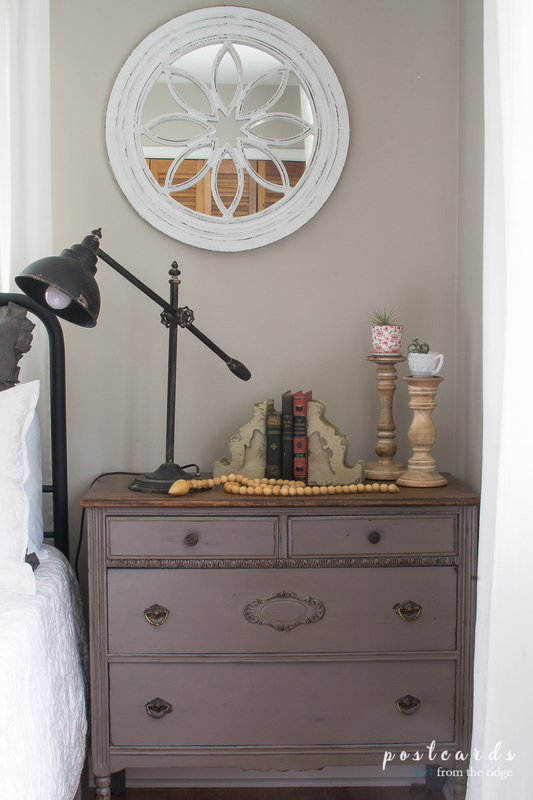 On the right side of the bed, I kept the round mirror and placed an antique dresser that was previously in the master bedroom. I had thought about painting it a different color, but when I moved it in here the color worked perfectly with the other items in the room. That was easy! 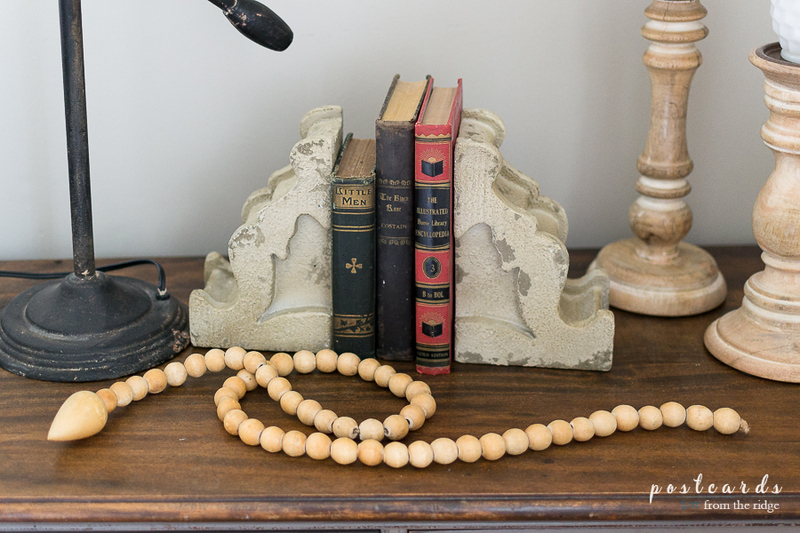 On top of the dresser, I added some vintage books, corbel style bookends, a wood bead garland, and a vintage industrial style metal lamp. For additional texture, I added a couple of wood candlesticks topped off with some sweet little air plants. 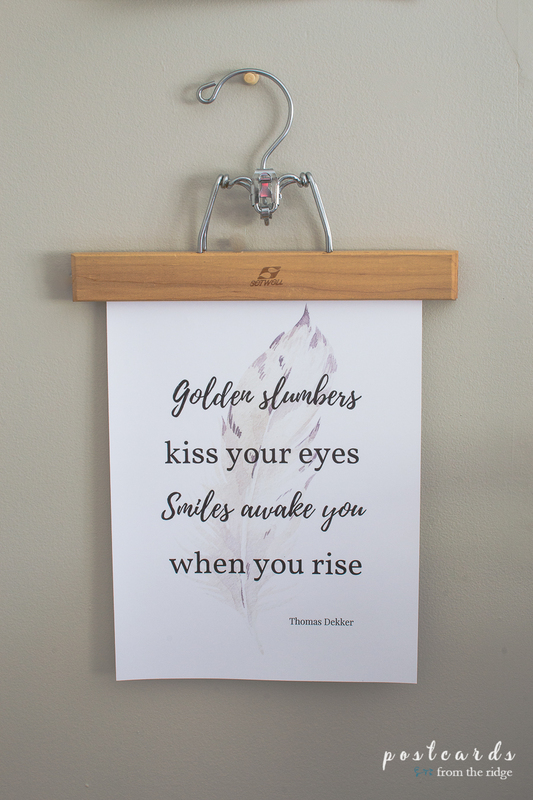 On the left side of the bed, I created a couple of printables to use as artwork. To download these for free and print them for yourself, go HERE. 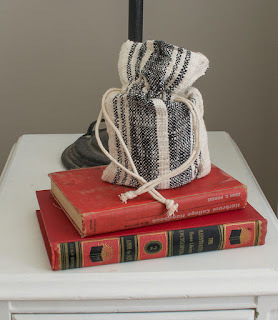 A couple more vintage books and a candle wrapped in striped fabric top off the night stand. Another vintage industrial style metal lamp offers light to this side of the bed as well. 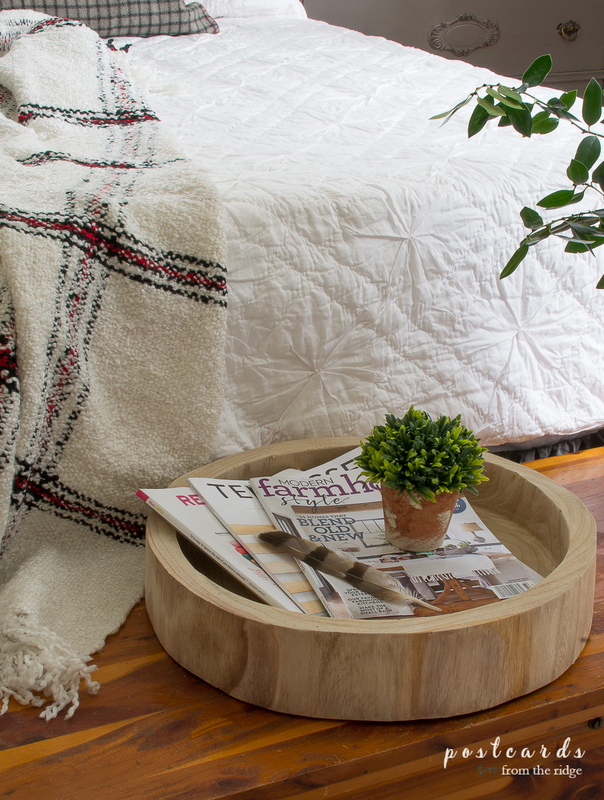 A vintage cedar trunk sits at the foot of the bed and offers storage for quilts and extra pillows. 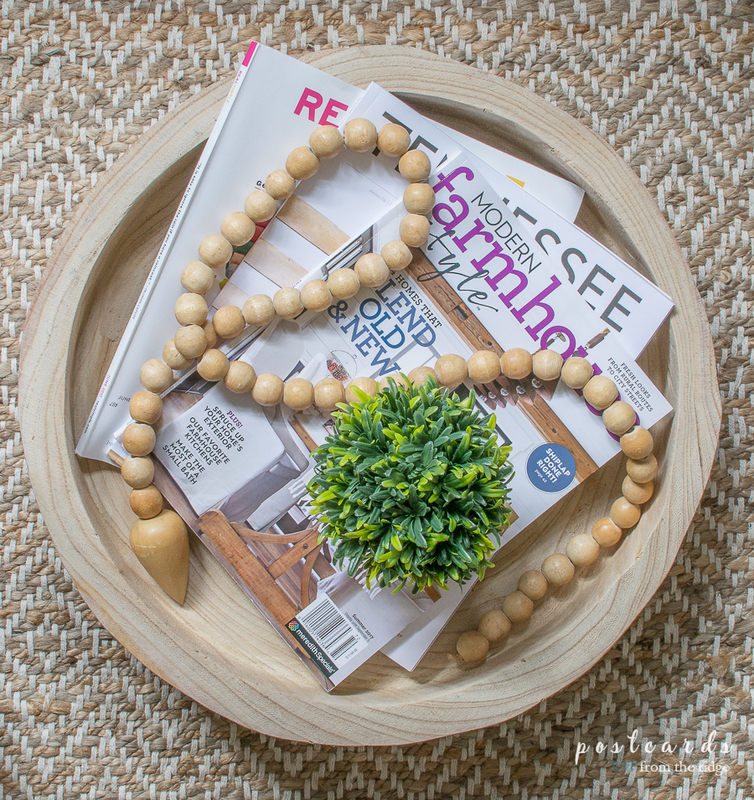 The round wooden tray is a new addition and makes a nice place to stash magazines or anything else that needs to be corralled. The little plant is artificial and gives just the right pop of greenery to the vignette. Since the holidays are just a few weeks away, I added a couple of festive pillows with button designs. They add a little dash of red to the room. 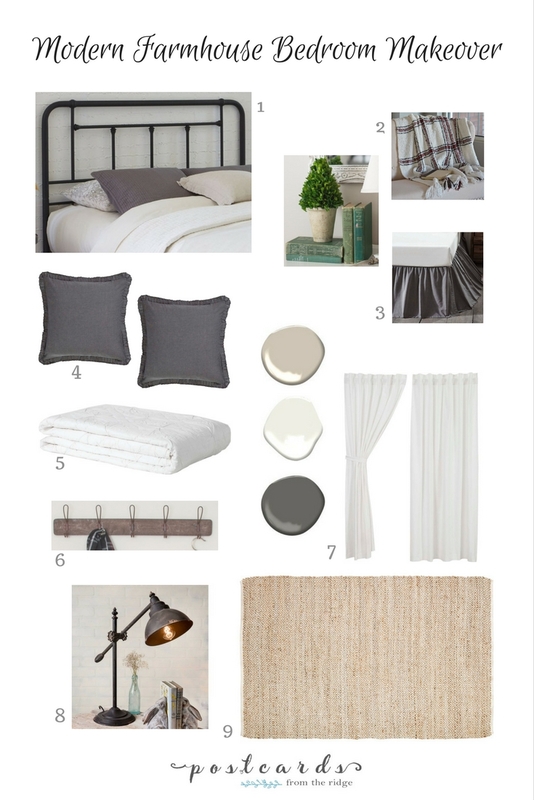 For the bed, I added a new headboard, euro shams, quilt, shams, throw blanket, and dust ruffle. That's where my biggest expense was, but since the room didn't need any major renovations I had the budget to refresh the bed. 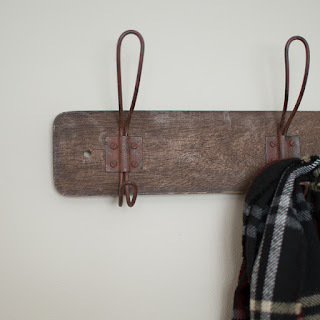 A rustic wall hanging with hooks for coats, weekender bags, and scarves was added next to the door. 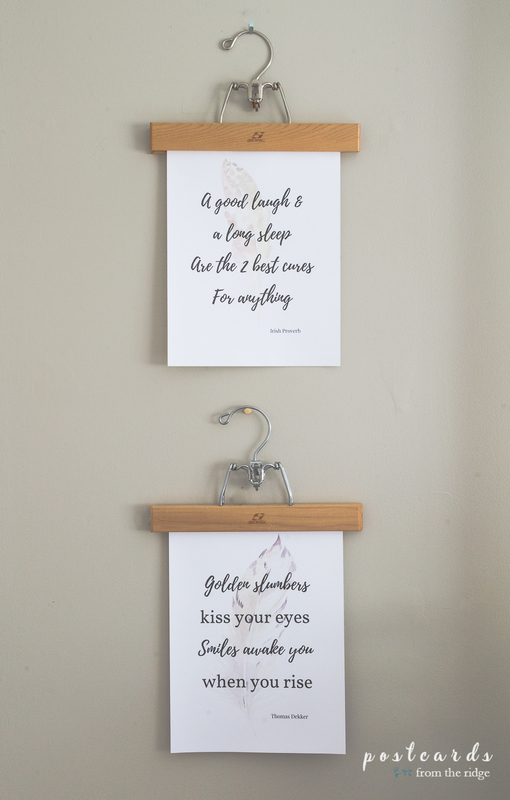 It's always nice to have extra hooks in a guest room. 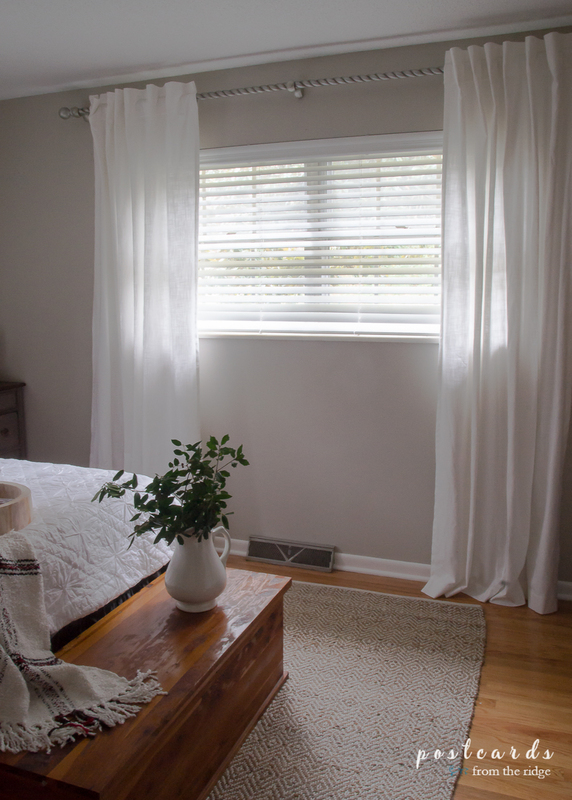 To lighten the space, I raised the curtain rods closer to the ceiling and added new white curtains. It really made a big difference. 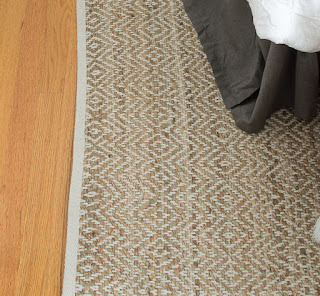 And a new natural area rug on the floor adds a cozy factor and some texture that the room needed. On the wall opposite the bed, a small dresser that was in the master bedroom fits perfectly. 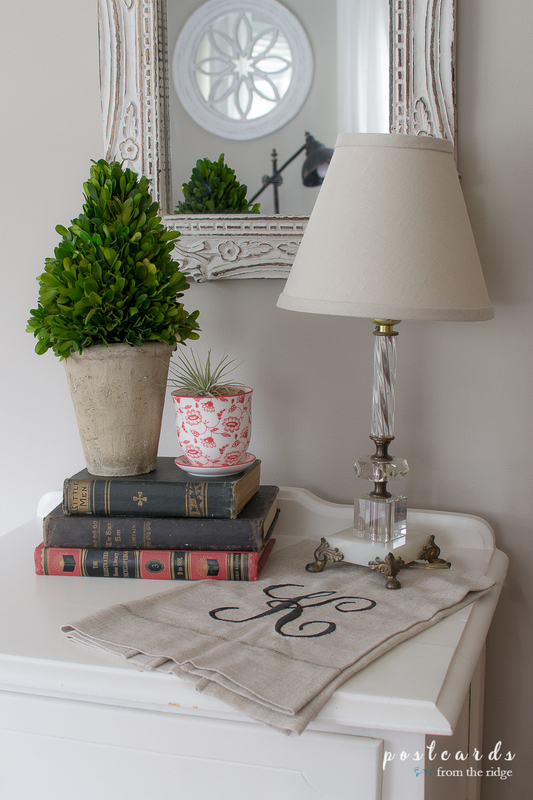 A vintage glass lamp, some old books, a monogrammed linen, and a boxwood topiary dress up the top along with the little air plant. That pretty much wraps it up in this room! I'm loving the lighter, fresher look in here. And it's so cozy now, I might just want to sleep in here myself! Here's my original plan which I didn't change much. I changed to books from green to red and black since it's close to Christmas, and I added a couple more small accessories like the tray, bookends, candlesticks, and wood garland. 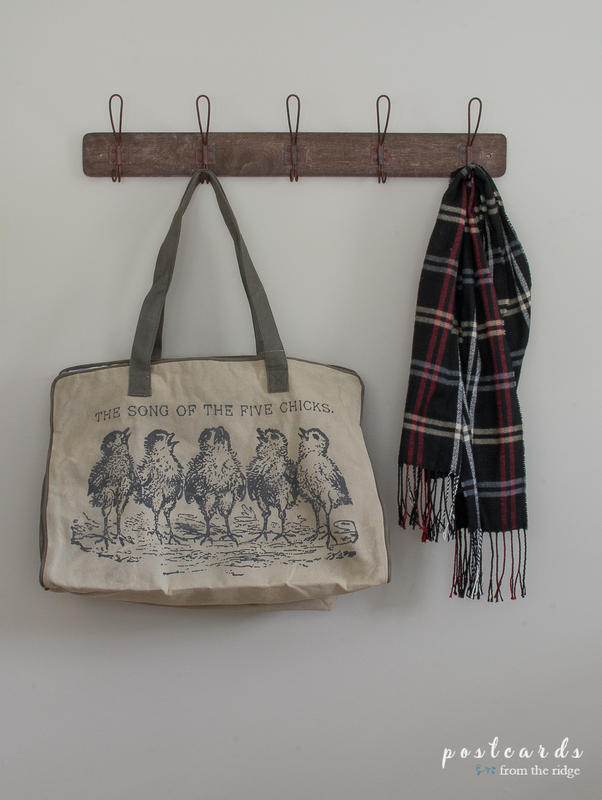 Most of the items are available in my shop, Emory Valley Mercantile, found HERE. There are links to all of them below. What do you think of the project? Is it better than it was before? It's so much fresher and lighter. Be sure to hop over to Calling it Home and see all of the final reveals from this season's One Room Challenge. Click the logo to go there. Beautiful setting!! Thanks for sharing. Love the gray painted dresser! So pretty. 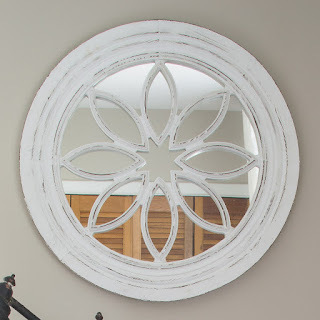 And that round mirror is stunning! So pretty! Love all the pretty details you added to this space. Congratulations on a job well done. I'm so happy you have my room ready for that one day visit! 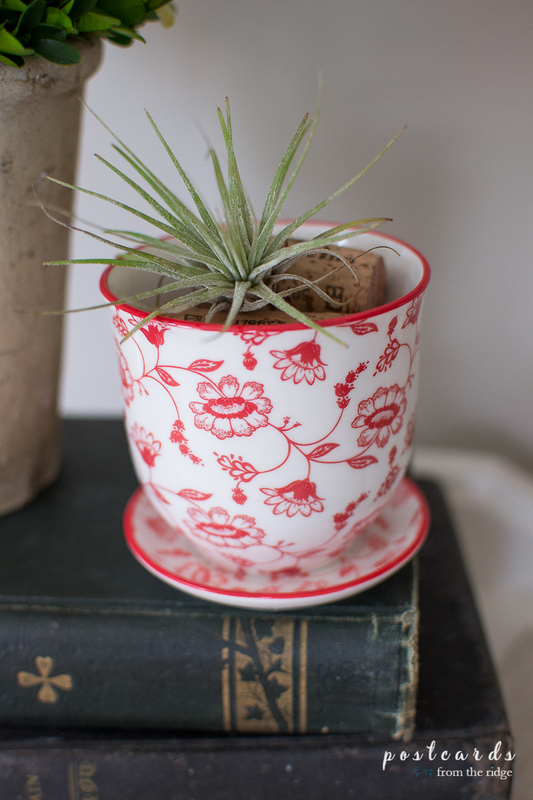 You know I adore all of the vintage touches! That tray is gorgeous, Angie! Is it from your shop? So beautiful!!! I love all of the texture! Lovey....I will be staying a couple of nights. I'm sure I won't want to leave such a charming room. Thanks for sharing. So much more cozy and inviting now! 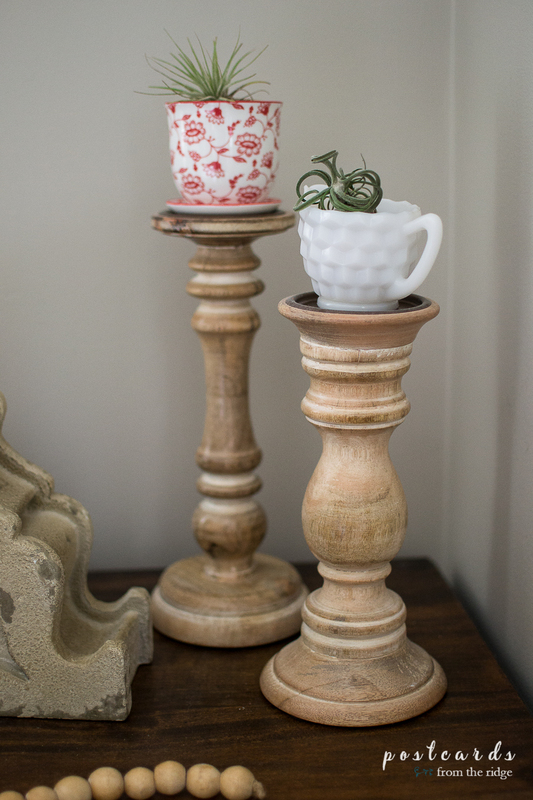 I love the hanging art prints and the teacups on top of the candlesticks, great touches! So pretty, Angie! Do you remember what color the dresser is? I'm going to paint some bedroom furniture and love the color on your dresser. What a beautiful and welcoming room! Love the details your added Angie! Congrats and Cheers to us for another room done! I can't stop pouring over all the details in this room! This is gorgeous! The bedding, that lamp, the prints, the milkglass. So much yumminess in one place. Congrats on a stunning reveal - I'm honored to have done this ORC with you! Thanks for allowing me to feature you on my 'color hunt' post. 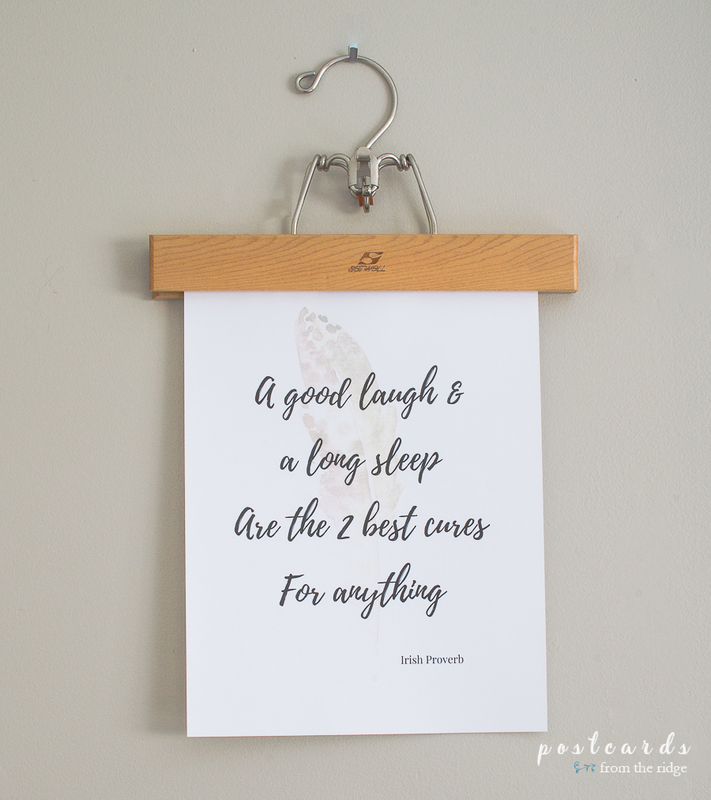 It was posted today over on my blog! Hi. They're both available through the link included in the post above!